Creating and maintaining your brand image is incredibly important. To accomplish this using Facebook, your brand should focus on the posting/boosting and engagement aspect of this platform. Posting relevant and shareable content with your existing followers on your Facebook page helps to build a strong brand image as well as retain a loyal customer base. However, organically, your reach with these posts will be a very small portion of your followers. Because Facebook is a platform that makes money through businesses with the goal of protecting the user experience. The remedy to this is strategically boosting your posts to your followers and people in your target audience. You can adjust the settings for this, but often a boost will last 24 hours. This increases exposure and engagement, helping to build the following on your Facebook page. We like to think of Facebook posting and boosting as just one important piece in your marketing strategy, with the other important piece being Facebook Advertising. It can be easy to mix up Facebook Advertising and posting/boosting. While these work hand-in-hand with each other, it’s important to know the difference between these two. Advertising is campaign-based, allowing more in-depth hyper targeting with conversion-based objectives. If you’re looking to increase your sales or gain more leads, Facebook Advertising is where this will happen. These ads do not get posted on your business profile page, they will show up in the feeds of those who are in the target audience with options for Instagram placement as well. How do these two pieces fit together then? 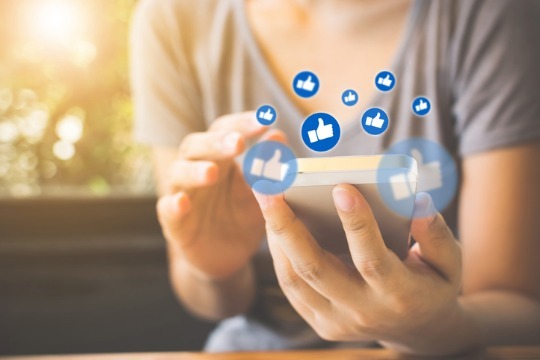 Think of posting and boosting your posts as a way to engage and retain your existing customer base, while Facebook Advertising is a fantastic way to generate more leads and sales for your business. To completely leverage the powerful tool that is Facebook, you’ll want to utilize both aspects: posting and advertising. We’re offering $500 off of any monthly marketing package with us! We can help you up your marketing game, take names, and ultimately increase your revenue. Schedule a free strategy call with one of our specialists to discuss our monthly marketing packages and to claim your holiday discount! Give us a call at 435-755-0595 or send us an email at contact@duogroup.com.